This legal classic has served the legal profession and everyone associated with it for almost a century. 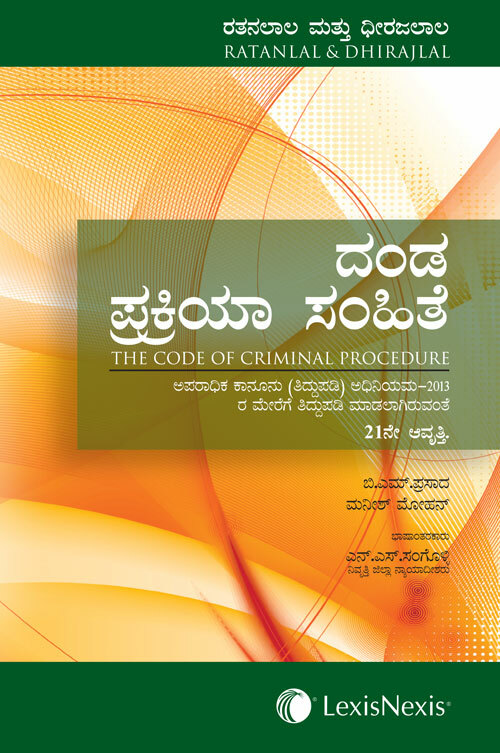 Learned and yet simple in its approach, this translated edition allows readers to quickly grasp the principles of Criminal Procedure and Criminology. Painstakingly updated to include the latest cases, legislative amendments and current developments in the law and judicial thinking, this book is indispensable to the widest possible range of readers. The current edition offers great help to students and professionals, when they require a quick overview, in the form of summary at the end of the work.This latest edition covers the latest essential case law, legislative amendments and current developments in the law relating to criminal procedure in India. Changes made by the Criminal Law (Amendment) Act, 2013 (Act 13 of 2013), The Code of Criminal Procedure (Amendment) Act, 2010 (Act 41 of 2010) and The Code of Criminal Procedure (Amendment) Act,2008 (Act No. 5 of 2009) have been critically examined at appropriate places in the book.